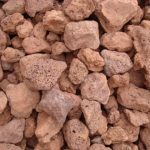 Practical landscape & driveway stone include limestone (AKA #57Rock), chipped stone, white marble, cedar bark stone, and our affordable red lava rock. This is our most popular stone. It has a variation of red, terracotta, orange, & charcoal colors. It’s perfect in any landscape bed. 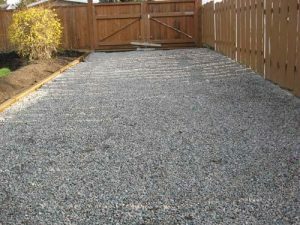 Can be used for walk ways, on top of French drains, all landscape beds, and fancy parking and driving areas. Excellent choice, because of the variation of colors, it matches many different architectural and landscape designs and styles. 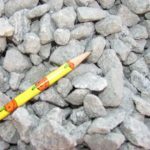 gray/ pink chipped stone about ¾” in size, has a variation of different tones of gray, pink and reds most commonly used in landscape beds. It is one the darkest colored stone we carry. Perfect for creating a tropical feel. 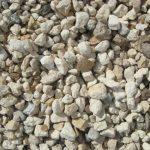 Small Yellowish-white round stone, up to 1 1/2 inches in size, Native to Florida, most commonly used for drainage, and in driving and parking areas. This is our most economical stone. Limestone can tend to be dusty. Small Yellowish-white round stone, about the size of a quarter or smaller. 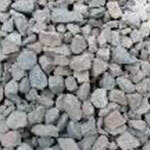 This material is native to Florida and very economical for drainage, driving areas & parking lots. Please keep in mind, this product is sometimes dusty. This is a round chunky-shaped stone with many little holes, not dense like all other stone, so it is very light, making lava rock the most unique stone that we carry. 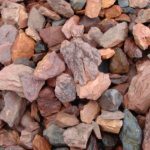 It is a very popular stone, because of the stones porous nature it is lighter and so there for a ton will cover almost three quarters more that all of the other stone. Ideal for persons who cannot do a lot of heavy lifting, Commonly used around pool areas or on top of French drains. Excellent for topping off flower pots. 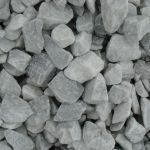 gray chipped stone with flecks of black about ¾” in size, has a variation of different tones of gray, and black. Most commonly used in landscape beds. It is one the darkest colored stone we carry. Perfect for creating a natural feel. About 1” size, sparkly white with gray tones, chip shape stone. The brightest stone we carry brightness makes it stand out. Most commonly used in landscape beds. Excellent for houses with white trim or brighten up dark landscaping.